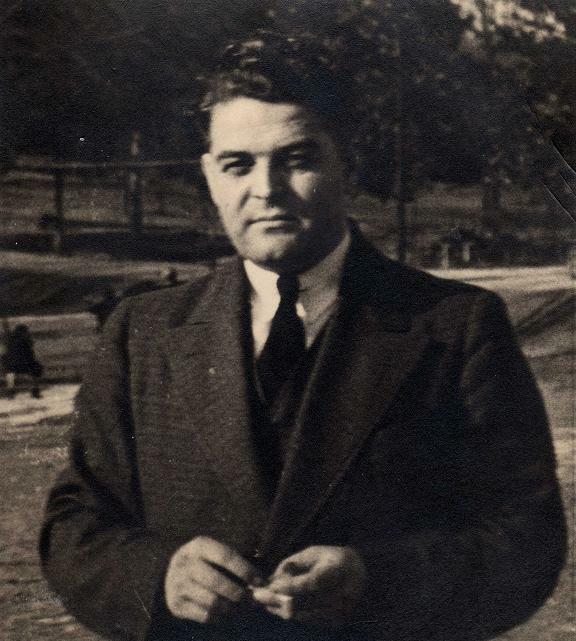 Nineteen-year-old Nicolaos Doumbalis, son of Ioannis and Panagiota Doumbalis, boarded the SS Canada from the port of Patras, Greece, on July 28, 1913, bound for Montreal. The region he left behind had been heavily scarred by three wars, decades of religious strife, and genocide. He had $19 in his pocket. After settling in Norfolk, Virginia, he married Helen Matinos in 1924. Like many immigrants, Nick spent many years working his way up from the bottom, laboring as a coal miner, bus driver, chauffer, and waiter. Nick and Helen moved to Raleigh in early 1930. 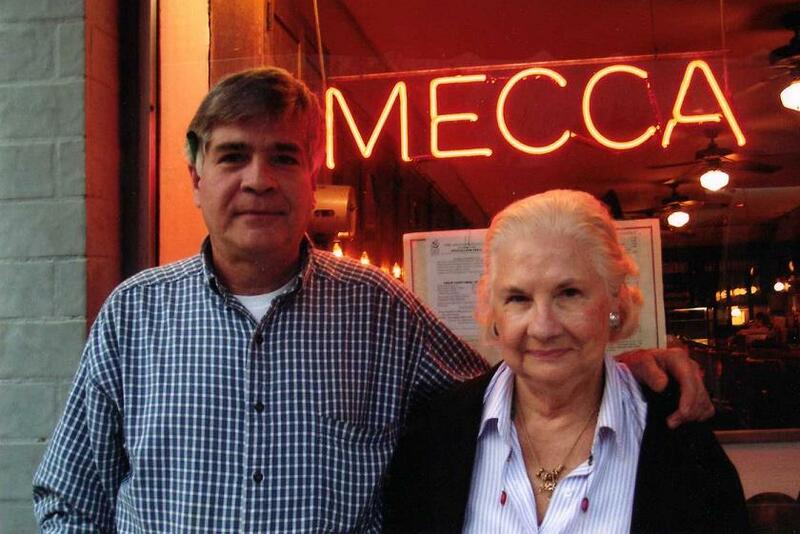 On May 1 of that year, they opened what was then known as the Mecca Luncheonette at the corner of Fayetteville and Hargett Streets. Being located within blocks of the state government and city market was a great benefit to the new business, as was Nick’s dedication to quality: the back of the original menu exhorts the reader to “Please co-operate with us by reporting anything that is displeasing to you.” That commitment was equaled only by the principle that customers receive an excellent meal for a good price. For $1, patrons could order a T-bone steak, a side salad, a Coke, and an ice cream sundae. Gus, and Pauline, began to get their feet wet. Nick was mainly known for his work ethic and toughness, and he imparted those principles to his children who, from the beginning, were no strangers to hard work. John and Gus would stand on top of a Coca-Cola crate to wash dishes, while Pauline would help her parents behind the lunch counter. John eventually took over the daily operation in 1952, although Nick and Helen remained regular fixtures for decades to come. 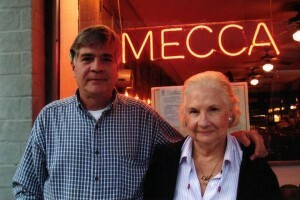 With the help of his wife, Floye, John guided the Mecca through more drastic changes. In the 50s, the business was expanded to include upstairs dining, doubling the Mecca’s seating capacity. In 1958, one of the Mecca’s staple items, the Glorified Jumbo Hamburger, was introduced. Priced at a cool $.65, the formula has remained the same from the beginning: 5 ounces of Angus beef, onions, pickle, and the Mecca’s mayonnaise-based secret sauce. John was a man who loved good conversation and never knew a stranger. 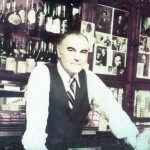 For over fifty years, he was the face of the Mecca, often greeting customers with nicknames like “Squire”, “Fast Eddie”, and “Senator Sam.” John loved people, and people loved him. It’s no wonder that, when asked about his favorite moment, he recounted the tale of a special conversation he shared with a hungry man he had fed. Upon thanking John for the food, the man said, “I want you to know, whether you travel East, West, North, or South, you are my friend.” Moments like these are what make any old business special, and are indicative of the kind of man John was. 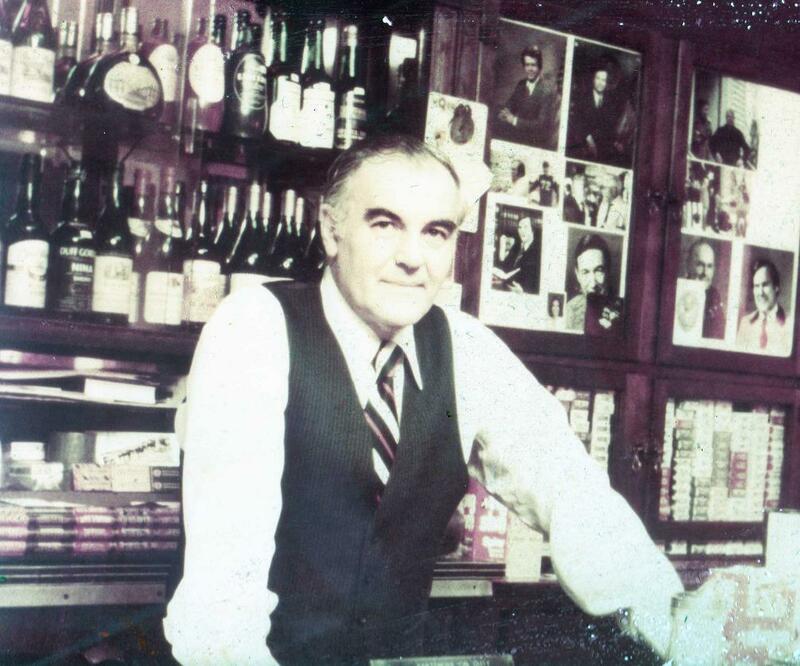 Since 1990, Paul Dombalis has kept this beautiful family tradition alive, although John, like his father before him, remained a fixture behind the old lunch counter until his death in 2002. A blue-collar throwback to his grandfather, Paul began full time in 1978. Paul has prepared our patrons’ breakfast, lunch, and dinner tens of thousands of times, and takes tremendous pride in his work. He has introduced numerous popular lunch specials, such as the San Francisco chicken (his father’s favorite) and our Lasagna special. In 2003, the Mecca began to slow-cook our Eastern North Carolina-style barbeque in-house, making an old favorite even more popular. And, most notably, in 2009, Paul oversaw the Mecca’s largest business expansion in years, opening its doors as downtown Raleigh’s most historic late-night hangout. Through it all, Paul, along with his beloved mother Floye, has expanded upon the success of Nick and John by keeping true to the principles they taught him: honesty, hard work, humility, and good humor.